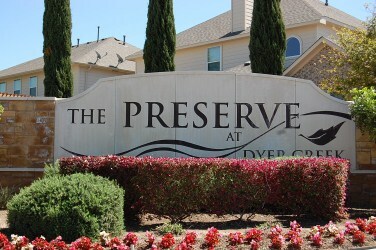 Preserve at Dyer Creek is a relatively new community located off of Forest Creek Dr. in Round Rock TX. The predominant builder here is Gehan homes. Residents enjoy the conveniences of Forest Creek Golf Club located nearby, as well as a close proximity to great schools. Shopping is also made easy with quick access to IKEA, Wolf Ranch in Georgetown, and the Round Rock Outlet Malls. This community also is very near major employers such as DELL, IKEA, Seton hospital, St. Davids Round Rock hospital, and others. Residents also enjoy quick access to downtown Austin via toll rd. 130 as well as toll rd. 45. 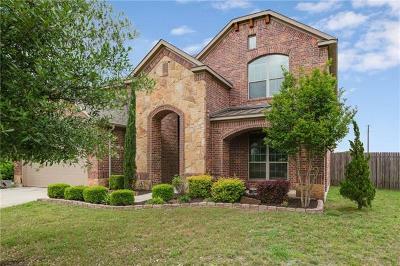 You may even be able to sit on your back porch and watch the fireworks show at the DELL Diamond, home of the Round Rock Express, the triple AAA affiliate of the Texas Rangers baseball team. Homes for sale in Preserve at Dyer Creek typically run from $200K-$310K. Gattis elementary, Ridgeview middle, and Stony Point high school.